East of Ireland and Irish Close champion Chris Selfridge, Lucan’s Richard O’Donovan, North of Ireland winner Rory McNamara and Mourne’s Reeve Whitson were all in the mix. But in the end the selectors opted to reward 17-year old schoolboy Moynihan for a brilliant season that saw him become the first Irish golfer to win the Peter McEvoy Trophy and then outgun some of the best amateurs in Europe to lift the Irish Amateur Open Strokeplay title at Royal Dublin in May. 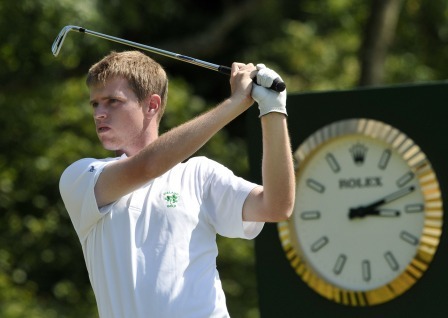 It also means that the top three Irishmen in the World Amateur Golf Ranking will be representing Ireland with world with Dunbar 20th, 52nd ranked Phelan joined by Moynihan, who has leapt 102 places to 55th in recent weeks thanks to his unbeaten singles performances the European Boys and both the Senior and Boys Home International matches. “I’m delighted to have been picked to represent Ireland in the Eisenhower trophy in Turkey in October,” said Moynihan, who has also been selected to play for Europe in next month’s Junior Ryder Cup at Olympia Fields. 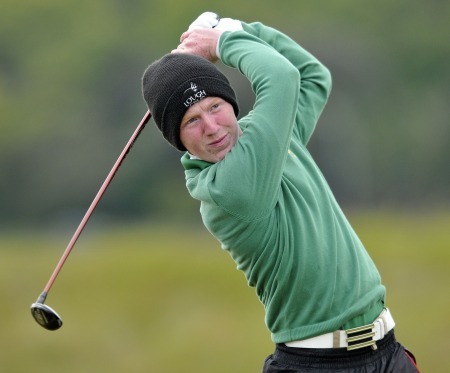 The man from Portrane was unlucky not to get the chance to tee it up in July’s Irish Open at Royal Portrush as his Royal Dublin victory came after the GUI nominees had already been forwarded to the European Tour a couple of weeks earlier. He claimed the Tom Montgomery Award for topping the Boys Order of Merit this year and after skippering the Irish Boys team in the Home International and then winning three and a half points out of six on his debut in the Senior Home Internationals the following week, he was named on the nine-man Great Britain and Ireland Jacques Leglise Trophy side to face the Continent of Europe at Portmarnock next week. The team selected by the Golfing Union of Ireland to compete in the Eisenhower Trophy at Antalya and Cornelia Golf Clubs, Turkey from 4-7 October are: Alan Dunbar (Rathmore), Gavin Moynihan (The Island) and Kevin Phelan (Waterford Castle).